Ocular and visual migraines: What's the difference? An ocular migraine is a rare condition characterized by temporary vision loss or even temporary blindness in one eye. Ocular migraines are caused by reduced blood flow or spasms of blood vessels in the retina or behind the eye. In an ocular migraine, vision in the affected eye generally returns to normal within an hour. Ocular migraines can be painless or they can occur along with (or following) a migraine headache. Unfortunately, the term "ocular migraine" is often used to describe a much more common (and harmless) condition — called a visual migraine or migraine aura — characterized by temporary visual disturbances that generally disappear within 30 minutes. Unlike ocular migraines, a visual migraine typically affects both eyes. Ocular migraine symptoms generally include a small blind spot that affects your central vision in one eye. This blind spot gets larger, making it impossible for you to drive safely or read with the affected eye. In some cases, the entire visual field of one eye may be affected. Generally, the episode lasts less than an hour. Visual migraines often appear suddenly and may create the sensation of looking through a cracked window. The visual migraine aura usually moves across your field of view and disappears within 30 minutes. The symptoms of a visual migraine typically affect both eyes and last 30 minutes or less. A migraine headache may occur shortly after the symptoms of a visual migraine subside or no headache may occur. If you're experiencing a blind spot or other visual disturbance and you're not sure if it's an ocular migraine or a visual migraine, then cover one eye at a time. If the visual disturbance is occurring in just one eye, it's likely that it's an ocular migraine. If it affects both eyes, it's probably a visual migraine. But don't take chances. 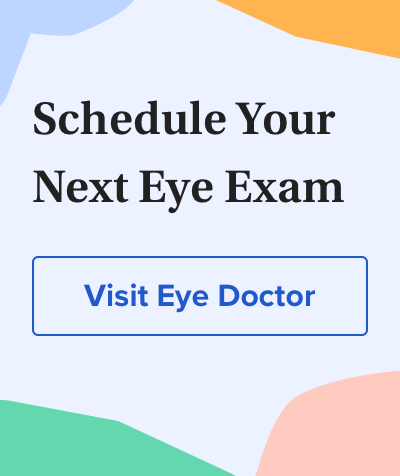 If you suddenly experience any sort of blind spot in your field of vision, call or consult an eye doctor immediately to determine if it's harmless or possibly a sign of something more serious, such as a retinal detachment. What causes ocular and visual migraines? Migraine headaches have a genetic basis, and some studies say that up to 70 percent of people who suffer from the disorder have a family history of migraine headaches. According to the World Health Organization, migraine headaches appear to be triggered by activation of a mechanism deep in the brain, which releases inflammatory substances around nerves and blood vessels in the head and brain. Imaging studies have revealed changes in blood flow to the brain during ocular migraines and migraine auras. But why this happens and what brings about the spontaneous resolution of ocular migraines and visual migraines remain unknown. Common migraine "triggers" that can cause a person to have a migraine attack (including ocular and visual migraines) include certain foods, such as aged cheeses, caffeinated drinks, red wine, smoked meats, and chocolate. Food additives, such as monosodium glutamate (MSG), and artificial sweeteners also can trigger migraines in some people. As already noted, visual disturbances caused by ocular migraines and visual migraines typically disappear within an hour or less without treatment. If you experience visual disturbances that are accompanied by a migraine headache, see your family physician or a neurologist for evaluation of your migraine episodes. Your doctor can advise you on the latest medicines for treating migraines, including medicines designed to prevent future attacks. It's also a good idea to keep a journal of your diet and activities just prior to your ocular migraine or migraine aura episodes to see if you can identify possible triggers that you can avoid in the future. Can Eye Rubbing Cause Keratoconus? Can I Serve in the Military if I Have Keratoconus? Cataract Treatment: Is Surgery The Only Answer?